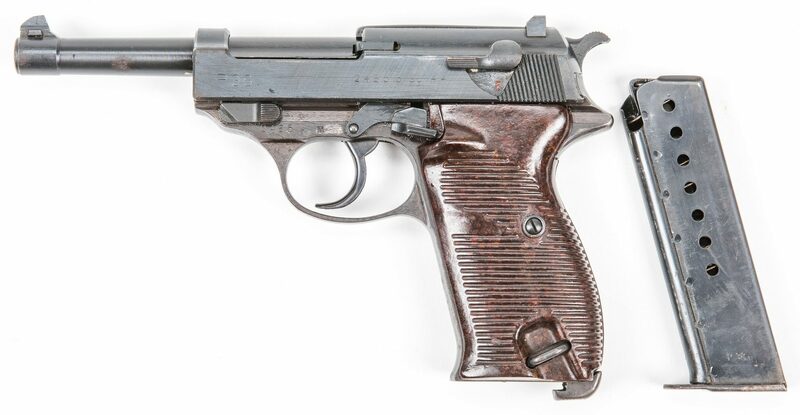 Nazi Germany Walther P. 38 AC 44 Semi-Automatic pistol, 9mm Caliber, serial #2485 b. 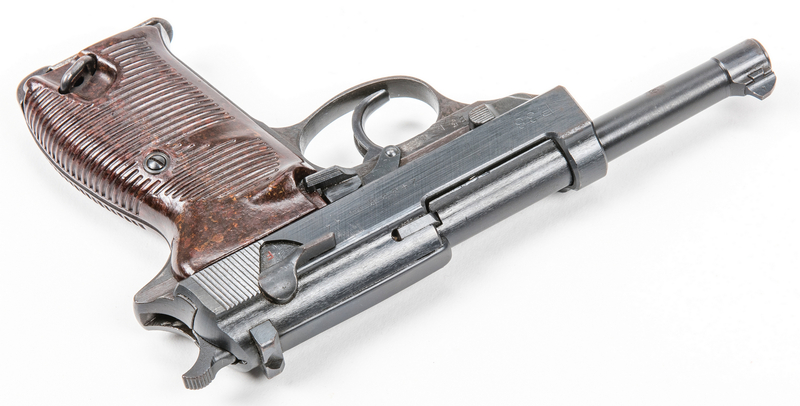 Left side of slide marked "P. 38" and "ac 44" with serial number. 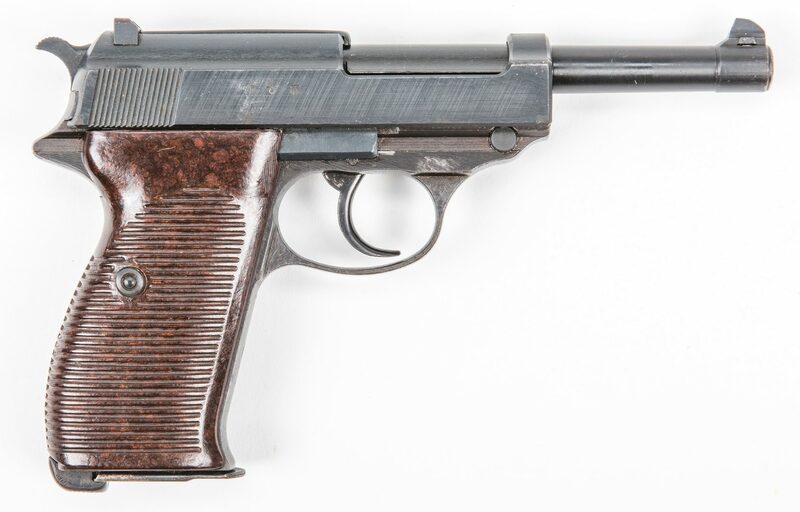 Brown Bakelite grips, round barrel, metal frame, standard sights. Three Waffenamt "359" stamps, left and right side of frame and slide with Reichsadler eagle, right side of slide. 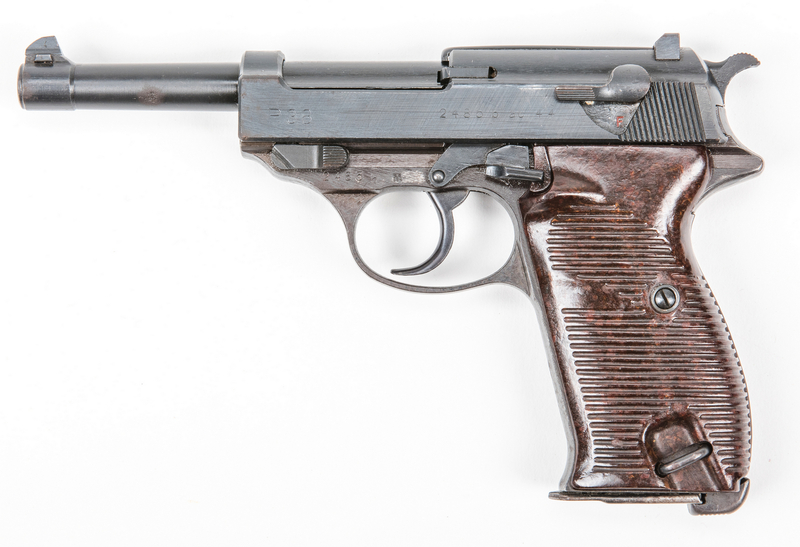 Front sight marked "4". 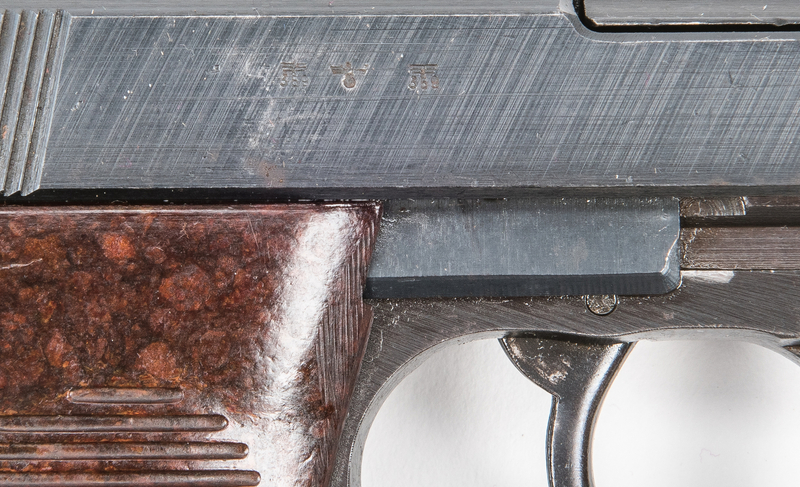 Matching serial numbers, left side of slide and frame and under barrel. 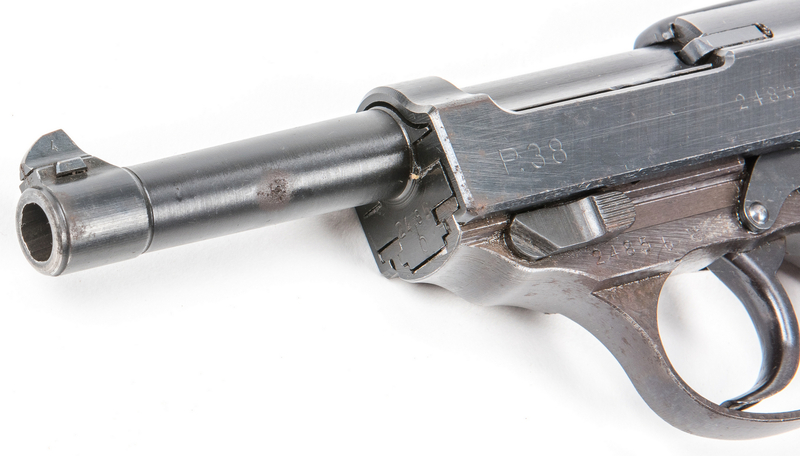 Barrel length – 5". Overall length – 8 1/2". Provenance: Private Ringgold, Georgia collection. 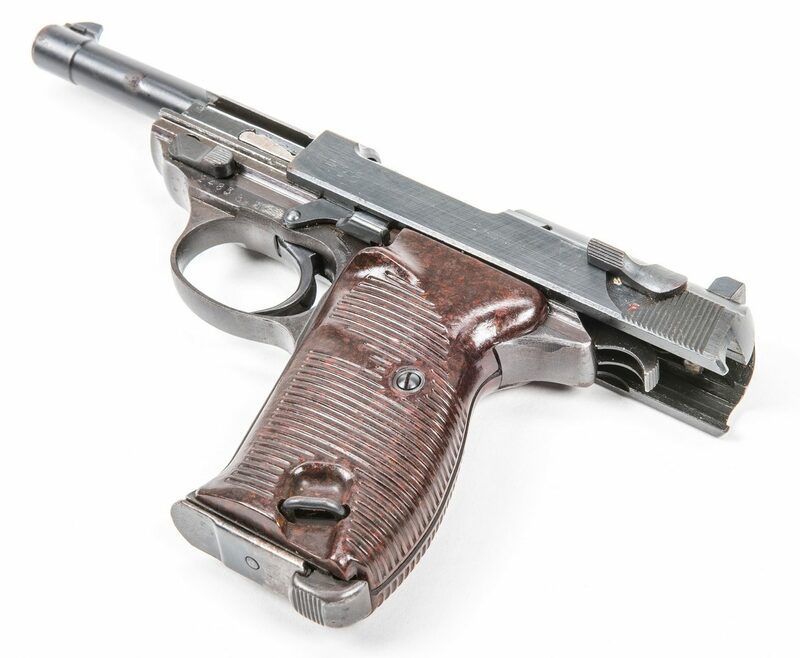 Note: Firearms made after 1898 require passing an FFL background check prior to transfer. Please be prepared with proper identification. CONDITION: Overall good condition with surface dings and loss to blue. 1/4" gouge to left side of barrel. Action is good. Bore and rifling with absence of oxidation, appear to be bright.